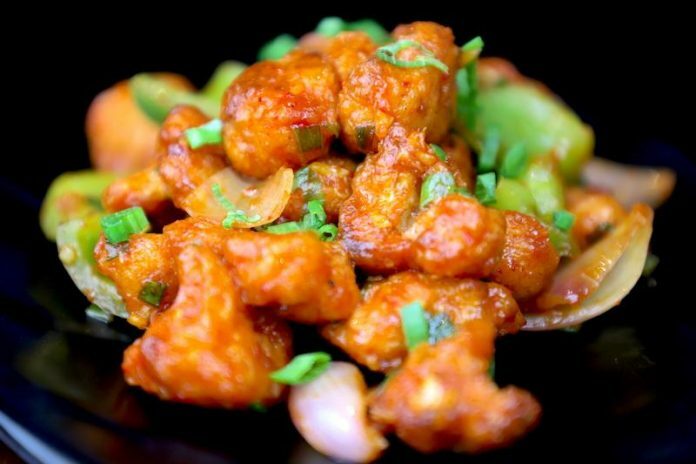 Gobi manchurian is one of the popular Indo-Chinese cuisine which is served in most of the restaurants. This is generally prepared dry to eat it as a starter or appetizer. 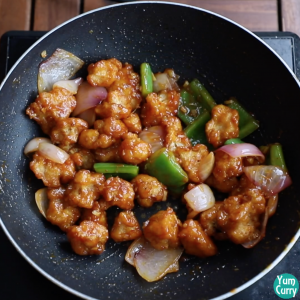 Gobi manchurian is also known as veg manchurian dry. 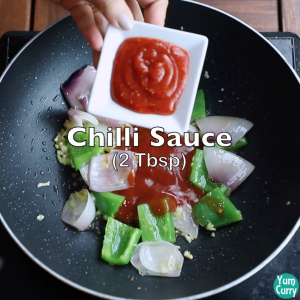 It has all the strong flavours of soy sauce, chilli sauce and vinegar which makes it an Indo-Chinese dish. 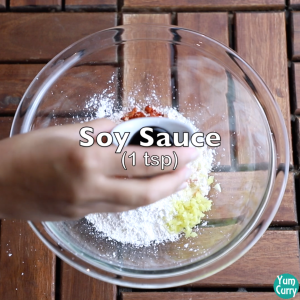 This is definitely discovered in India as I don’t think Chinese people even know about this recipe. 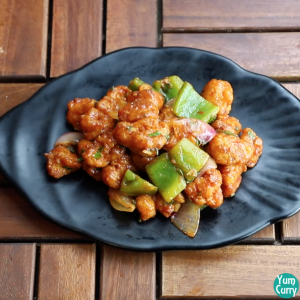 What do you eat with gobi manchurian? 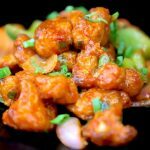 As I said this manchurian is served as a starter or appetizer so I like to eat it just like that with chilli sauce or tomato ketchup. 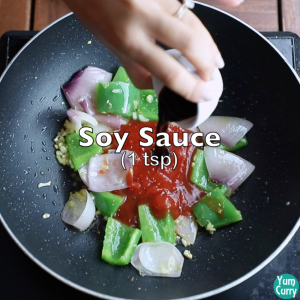 Some people like it with fried rice or noodles. I prefer gravy with my fried rice or noodles so I generally eat manchurian gravy with fried rice. 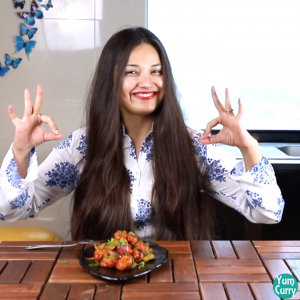 You can checkout the veg manchurian recipe I have made. How to make it if you don’t want to deep fry it? 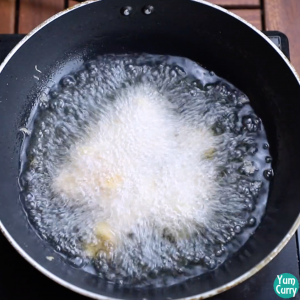 To prepare cauliflower for manchurian, we have to deep fry the cauliflower to make it crispy. 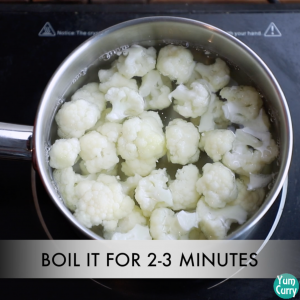 If you want are on diet or want to avoid this process, you can just grill it in oven or tandoor for 15-20 minutes at 160°C/320°F, this will make the cauliflower crispy and less oily. 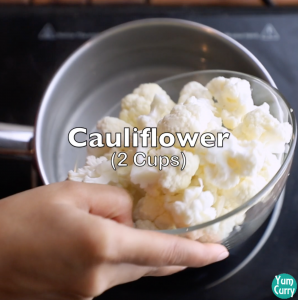 Don’t grill it on pan, as it will cook the cauliflower from outside but not correctly from inside. 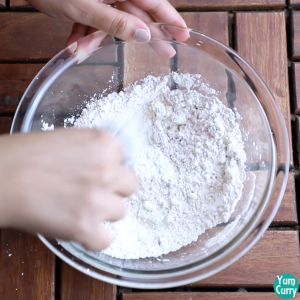 If you don’t have oven, use a deep pan and use it like a tandoor. 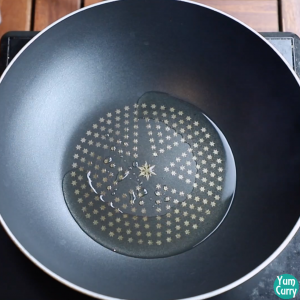 Heat water in a pan and add salt to it. Add roughly chopped gobi/cauliflower to it. 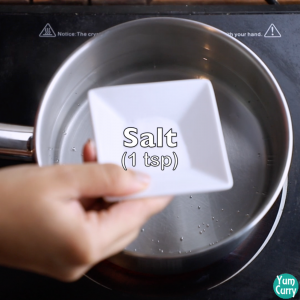 Boil it on high heat for 2-3 minutes. Strain it when done. 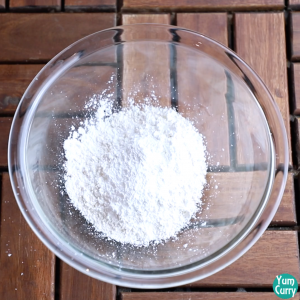 For frying cauliflower, take flour, corn flour/starch, salt, chilli powder, ginger, garlic and soy sauce in a bowl. Mix it. 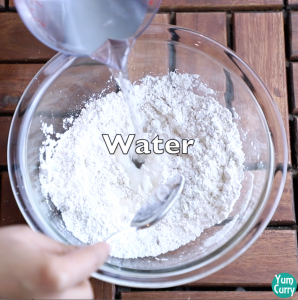 Add water, little at a time and mix to make little runny paste. 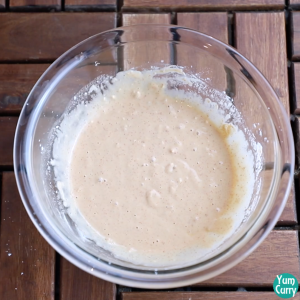 Now add the cauliflower to it and coat well. 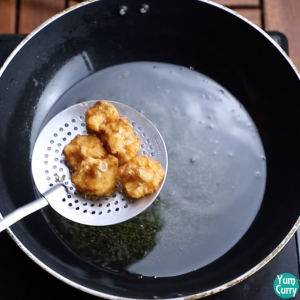 Take out the coated cauliflower, one piece at a time and deep fry it in hot oil until golden brown on high heat. Stir in between. Take it out in a kitchen towel or tissue paper when done. 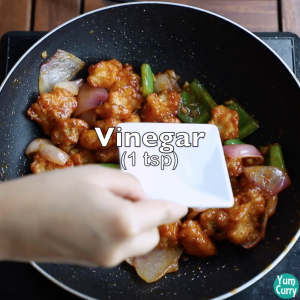 For making gobi manchurian, heat oil in a pan. 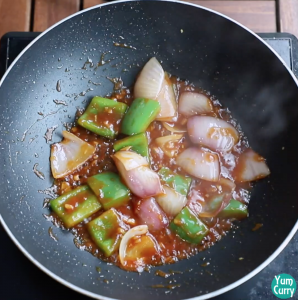 Add finely chopped ginger-garlic to it. Mix well. 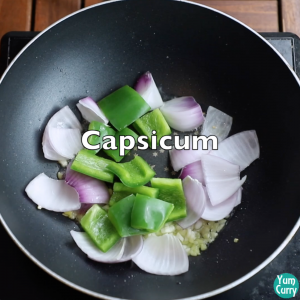 Add onion and capsicum to it. 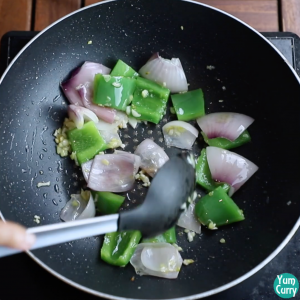 Fry it on high heat for few minutes until onions starts to become translucent. 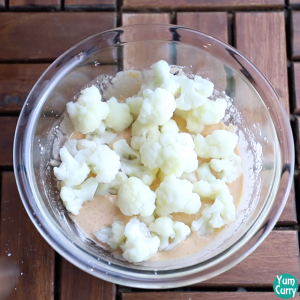 Add prepared cauliflower to it and mix well on high heat. Add vinegar and spring onion to it. 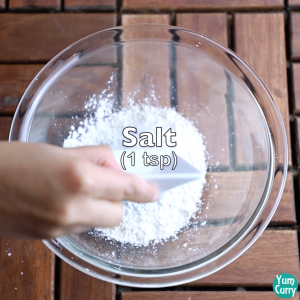 Mix well (you can add salt if required) and turn off the heat. Serve hot. 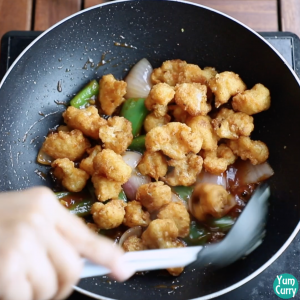 Take out the coated cauliflower, one piece at a time and deep fry it in hot oil until golden brown on high heat. Stir in between. Take it out in a kitchen towel or tissue paper when done. 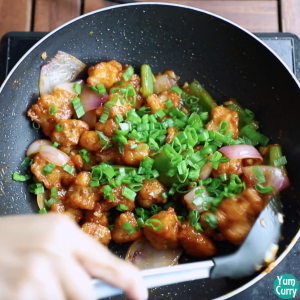 For making gobi manchurian, heat oil in a pan. 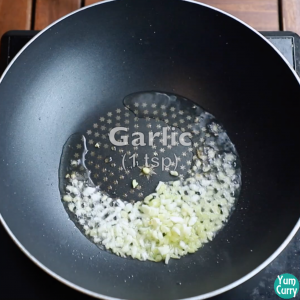 Add finely chopped ginger-garlic to it. Mix well.